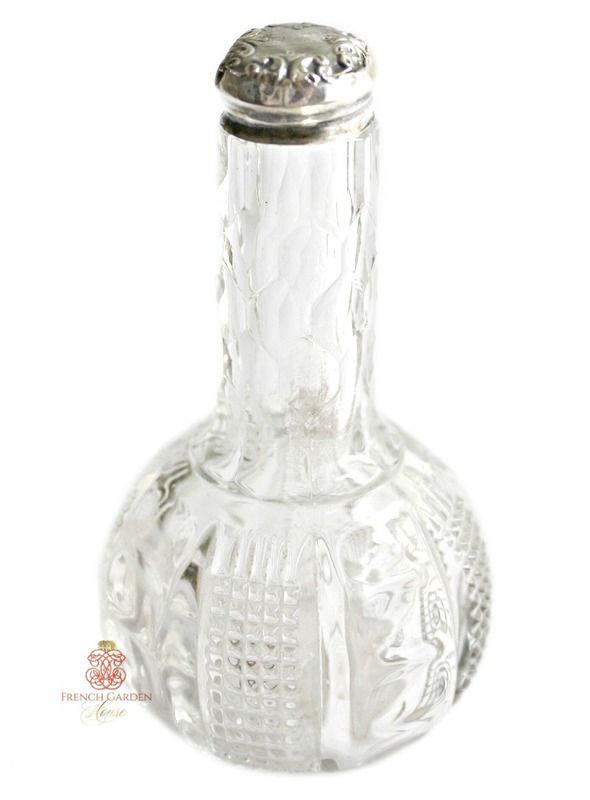 Sweet small Antique Cut Glass Perfume Bottle with a Sterling Silver Repousse Top, a little shabby around the edges but a romantic and feminine little lady. 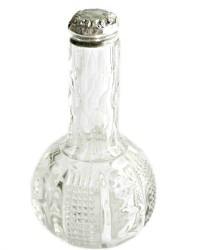 The glass has a lovely decorative design, the screw on top has a scrolled pattern. 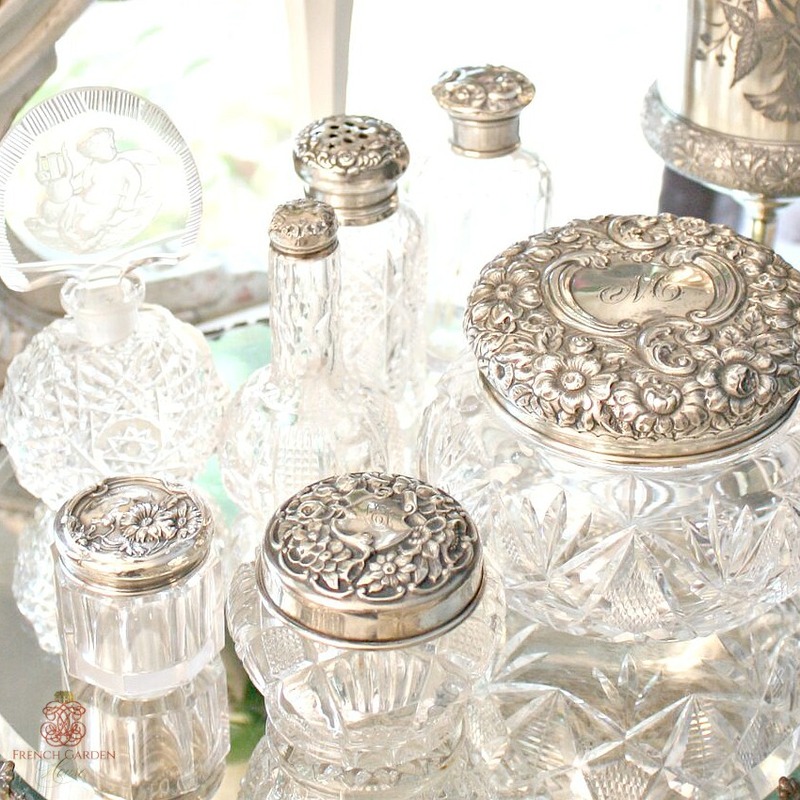 A charming addition to your collection of vanity and dressing table accoutrements, display her with your perfume bottles and powder jars. 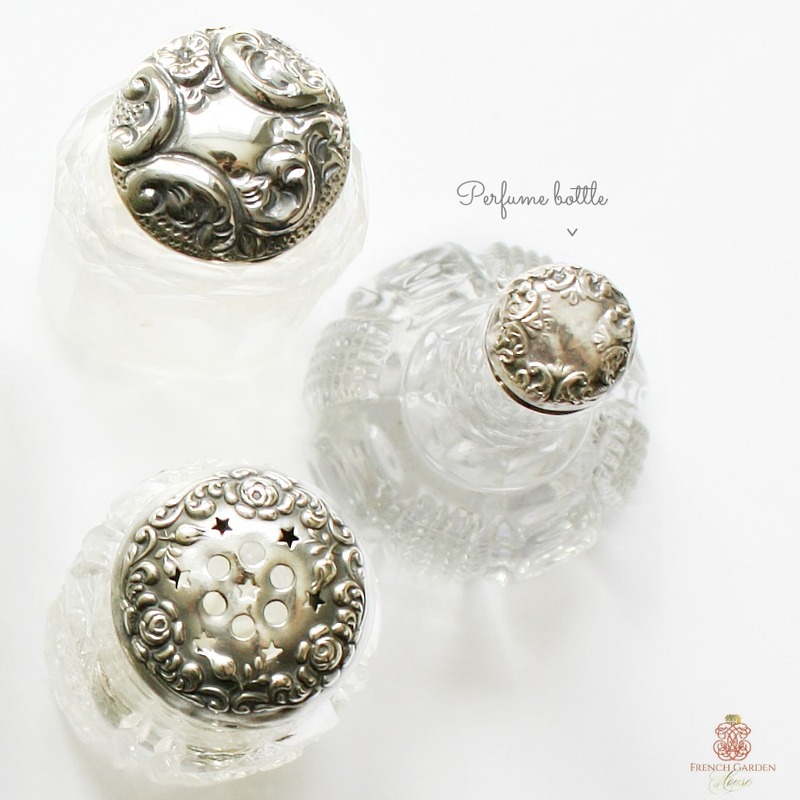 Not for the perfectionist, this was loved and used by the same family for generations, her top has some denting and areas where, over the last century, all those ladies who opened her to apply their favorite French scent have worn away the silver. There are little openings, which are not very noticable to the eye, but with a magnifying glass. The last photo shows her surrounded by a few of her best friends.